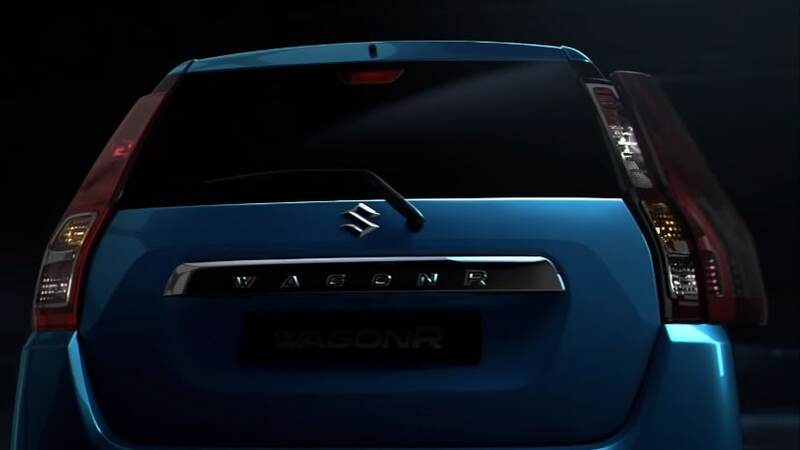 We are just days away from the launch of the new-gen 2019 Maruti Suzuki Wagon R, and ahead of the official unveiling, the company has revealed the car’s exterior in its latest video. Slated to be launched on January 23, bookings for the second-generation Wagon R have already commenced. 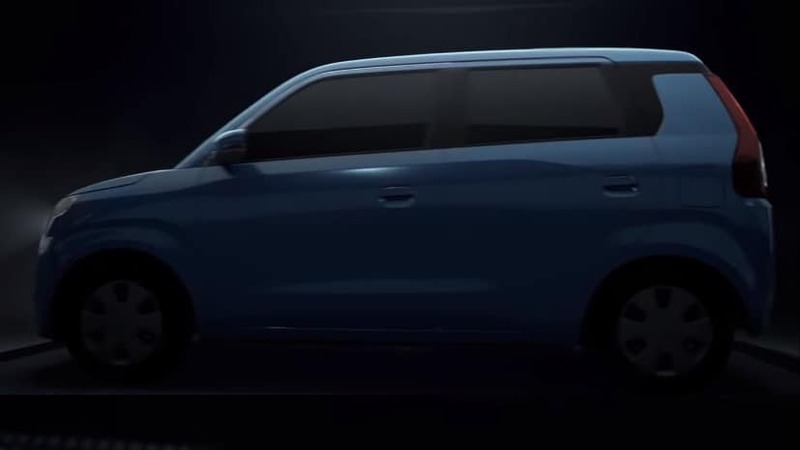 The new video, which announces the opening of the bookings, also talks about some of the key updates made to the new-gen Wagon R. For instance, the car is now based on the company’s versatile Heartect platform, similar to the new Swift and Dzire and now it also gets a more powerful 1.2-litre petrol engine. With the new platform, the Wagon R has now grown in size. The car is now longer by 60 mm at 3655 mm and wider by 145 mm at 1620 mm, but it’s also shorter now by 25 mm at 1675 mm. However, the car does come with 35 mm longer wheelbase now at 2435 mm, which means it will come with a roomier cabin. Visually, the new 2019 Maruti Suzuki Wagon R looks much nicer and premium now. Up front, the car comes with a new grille, new headlamps, and new airdam with plastic cladding. The profile of the car shows its longer proportions and the shorter overhangs of the car, along with the styling updates like the new floating-roof design, new ORVMs and new wheel covers. The rear section has also been updated and now it comes with a new tailgate, vertically-stacked taillamps with an LED band, and a new bumper. Based on a recently leaked brochure, Maruti will be offering six colour options – Supreme White, Silky Silver, Magma Grey, Metallic Brown and two new colours Autumn Orange and Poolside Blue. 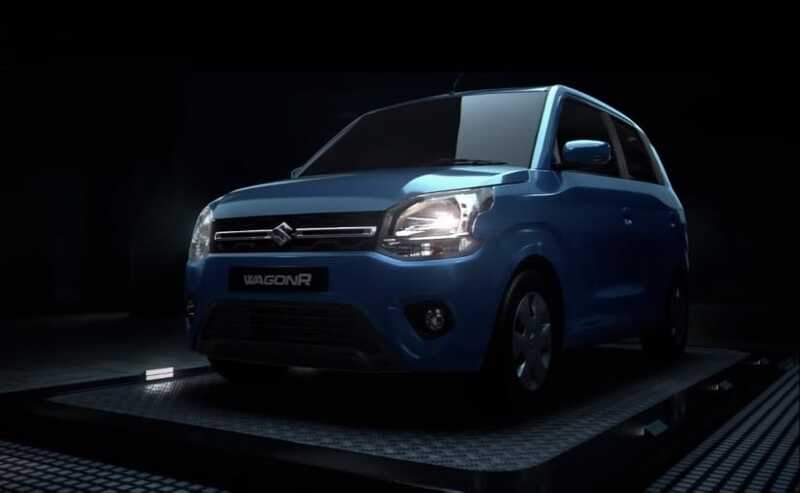 As already mentioned, the new Maruti Suzuki Wagon R will get the more powerful 1.2-litre K12B four-cylinder petrol engine, in addition to the existing 1.0-litre K10B three-cylinder motor. The 1197 cc motor, sourced from the Swift, churns out 82 bhp at 5,000 rpm and a peak torque of 113 Nm at 4,200 rpm, while the smaller 998 cc motor makes 67 bhp at 5,500 rpm and a peak torque of 90 Nm at 3,500 rpm. Both the engines come mated to a 5-speed manual gearbox as standard and an optional 5-speed AGS unit.